It’s a happy coincidence that these two “rock operas” based on groundbreaking “concept albums” are both enjoying limited London seasons this summer – and, for anyone interested in the development of this fascinating crossover sub-genre, it’s an unmissable opportunity to experience both. The fact that Green Day credited the work of The Who, and Tommy in particular, with providing the inspiration for their 21st-century album is added incentive. It was certainly incentive enough for me to see the two shows over successive weeks and I’m glad I did: I’m a little squeamish and not a particular fan of heavy rock music, so American Idiot and Tommy were both difficult watches and challenging listens for me, but they each yielded their rewards by the end. Here are a few more pass-note items for you to compare like with like. Green Day, the American punk rock band founded in 1986 and led by vocalist/guitarist Billie Joe Armstrong and bassist Mike Dirnt. Other albums include Insomniac, Nimrod and Warning. After a run at the Berkeley Repertory Theatre in California in 2009, American Idiot had a year-long Broadway run from April 2010, followed by several US tours. The musical, with an American cast, toured the UK in 2012, concluding at London’s Hammersmith Apollo, in December 2012. American Idiot is tipped to be made into a Hollywood film, directed by Michael Mayer. In the wake of 9/11, three boyhood friends in an apathetic and angry malaise – Johnny (‘Jesus of Suburbia’), Tunny and Will – search for meaning by taking three different paths. One becomes a father, one joins the Army and one escapes to the big city, where drug dealing, addiction, squalor and squandered love awaits. Lots of onstage drug-taking, including very graphic scenes of injecting heroin, as well as a morphine shots, pill-popping, sniffing, snorting, bong-hitting and the rest. Also a suicide shooting, amputation and a seriously filthy toilet. In 2005/6, the original American Idiot album won Grammy Awards for Best Rock Album and Record of the Year (“Boulevard of Broken Dreams”). In 2011, after hitting Broadway, it won another Grammy for Best Musical Show Album. 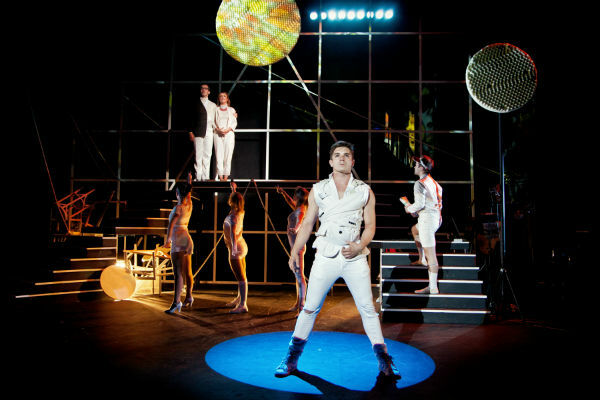 The stage show also won two 2010 Tony Awards, for Best Scenic Design of a Musical and Best Lighting Design of a Musical. With less than 50% of the score written for the stage, it was deemed ineligible for Best Original Score at the Tony Awards. This first London revival is directed and choreographed by Racky Plews, extraordinary grunge set designed by Sara Perks, with musical direction by Mark Crossland, musical supervision by Richard Morris, lighting by Tim Deiling and sound by Chris Whybrow. 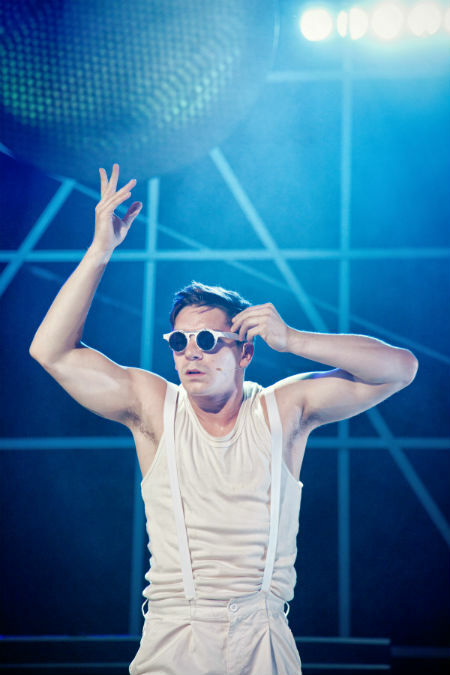 Aaron Sidwell (stunning acting and vocal performance) is Johnny, with Lucas Rush as his evil alter-ego St Jimmy, Alexis Gerred and Steve Rushton as mates Tunny and Will, and X Factor star Amelia Lily as his punk-rock Juliet, Whatsername. American Idiot is produced by David Hutchinson and Philip Rowntree for Sell a Door Theatre Company and Stephen McGill Productions. The Who, English rock band formed in 1964 and comprising lead singer Roger Daltrey, guitarist Pete Townshend (who composed most of Tommy), bassist John Entwistle and drummer Keith Moon. Signature singles not on Tommy include “My Generation”, “I Can See for Miles”, “Substitute”, “Happy Jack”, “I Can See for Miles” and “Won’t Get Fooled Again”, as well as the post-Tommy concept album (also adapted for stage and screen) Quadrophenia. The first professional production of Tommy, staged in Seattle in 1971, featured Bette Midler as the Acid Queen. It was followed by a London Symphony Orchestra concert version in 1972. Robert Stigwood produced the 1975 film version that starred The Who’s Roger Daltrey as Tommy, with other stellar cameos including Elton John, Eric Clapton, Ann-Margret, Tina Turner and Jack Nicholson. The Broadway musical version did not come until some time later, until 1993, after a tryout at San Diego’s La Jolla Playhouse. Michael Cerveris starred as Tommy in the Broadway production, which ran for more than two years. A London production ran from March 1996 to February 1997 at the West End’s Shaftesbury Theatre, with Paul Keating starring. In the wake of the Second World War, a British Army Captain who went missing in battle and was believed dead returns home to find his ‘widow’ in the arms of another man. He murders the lover, a crime of passion witnessed by his young son, Tommy. Pressured by his parents to effectively ‘see no evil, hear no evil and speak no evil’, Tommy’s senses shut down. 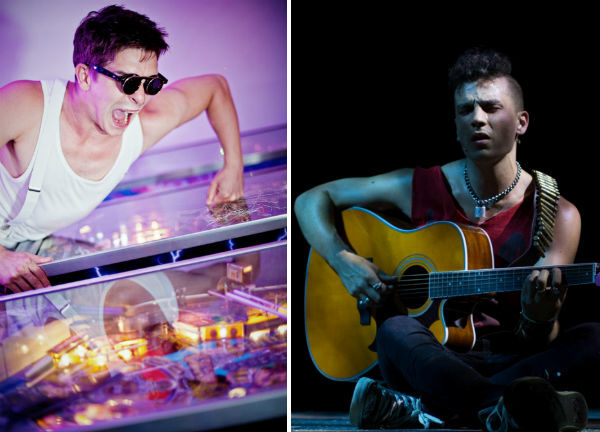 As he grows older, relying only on touch and imagination, the “deaf, dumb and blind kid” finds fame and success as a “pinball wizard”. His mother, frustrated by the failure of quacks and LSD, finally ‘cures’ his son by smashing a mirror. Tommy then goes on to found a cult and a holiday camp! Young Tommy is sexually molested by a grimy ‘uncle’ and physically tormented by a sadistic ‘cousin’. The Acid Queen’s treatments while attempting to cure him aren’t very nice either! The musical won five Tony Awards in 1993, including Best Original Score for Townshend and Best Direction (for Des McAnuff), and in London in 1997, three Laurence Olivier Awards, including Best Musical Revival and a second Director gong for McAnuff. In 1998, the original album was inducted into the Grammy Hall of Fame for “historical, artistic and significant value”. Tommy is directed by Michael Strassen, with musical direction by Kevin Oliver Jones, choreography by Mark Smith and set and costume design by Nick Corrall. Ashley Birchall stars as Tommy in a cast that also includes John Barr as Uncle Ernie, Giovanni Spano as Cousin Kevin, Miranda Wilford as Mrs Walker, James Sinclair as Captain Walker and Carly Burns as the Acid Queen. Tommy is produced by Katy Lipson for Aria Entertainment, Guy James, and Ilai Szpiezak for Szpiezak Productions. Tommy continues at Greenwich Theatre until 23 August 2015. 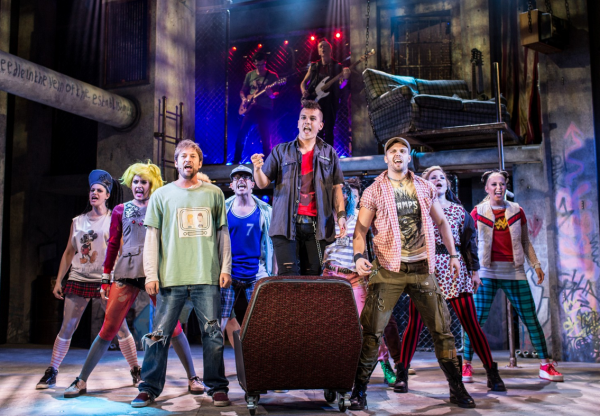 American Idiot continues at the West End’s Arts Theatre until 27 September 2015.